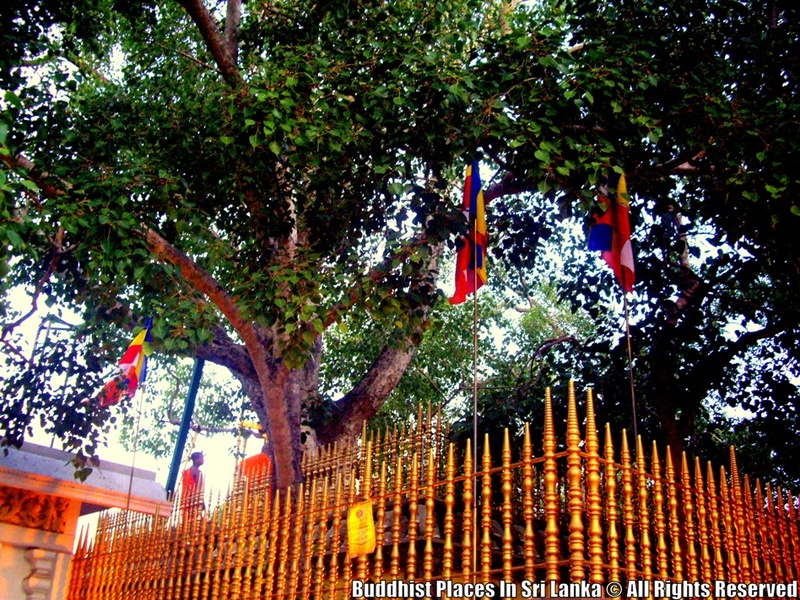 Jaya Sri Maha Bodhi (Sinhala:ජය ශ්‍රි මහා බොධිය) is a Sacred Fig tree in Anuradhapura, Sri Lanka. 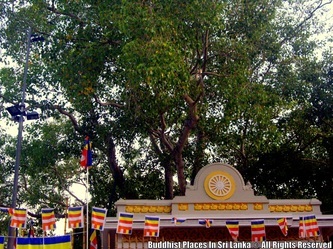 It is said to be the southern branch from the historical Bodhi tree Sri Maha Bodhi at Bodh Gaya in India under which Lord Buddha attained Enlightenment. 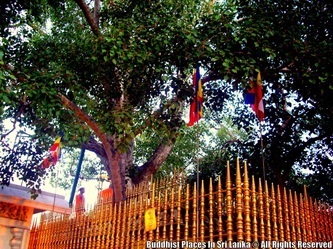 It was planted in 288 BC, and is the oldest living human-planted tree in the world with a known planting date. 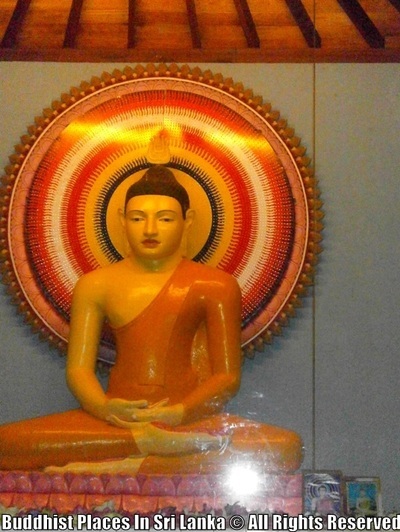 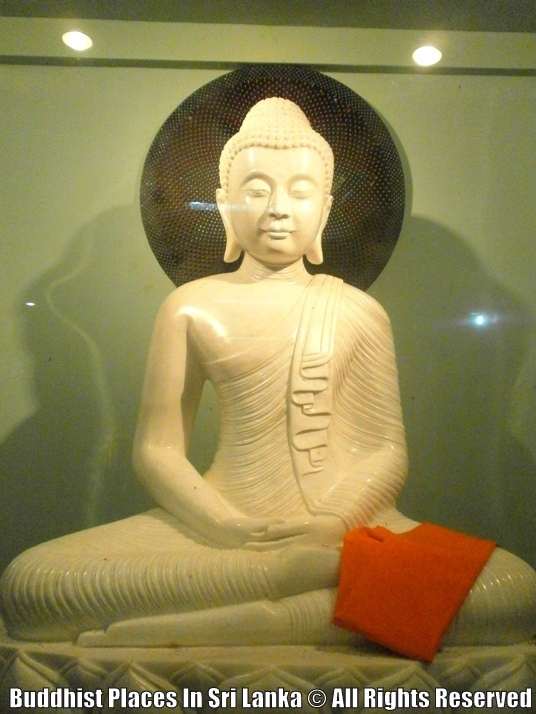 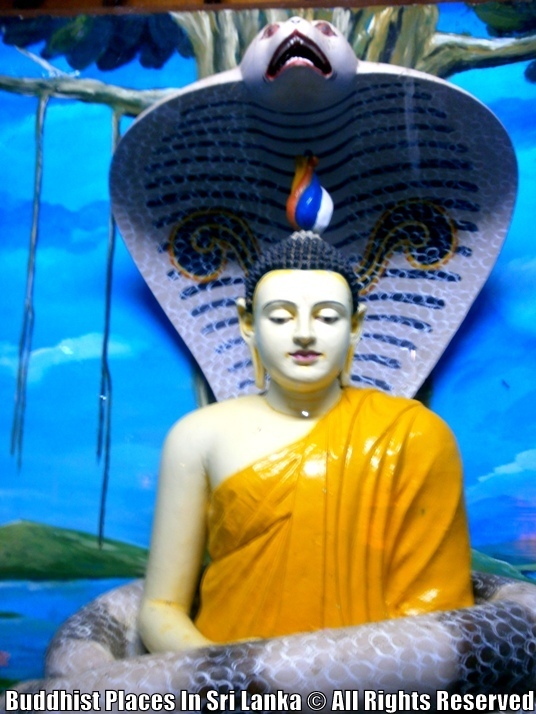 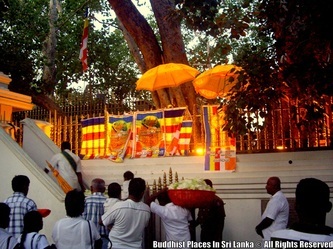 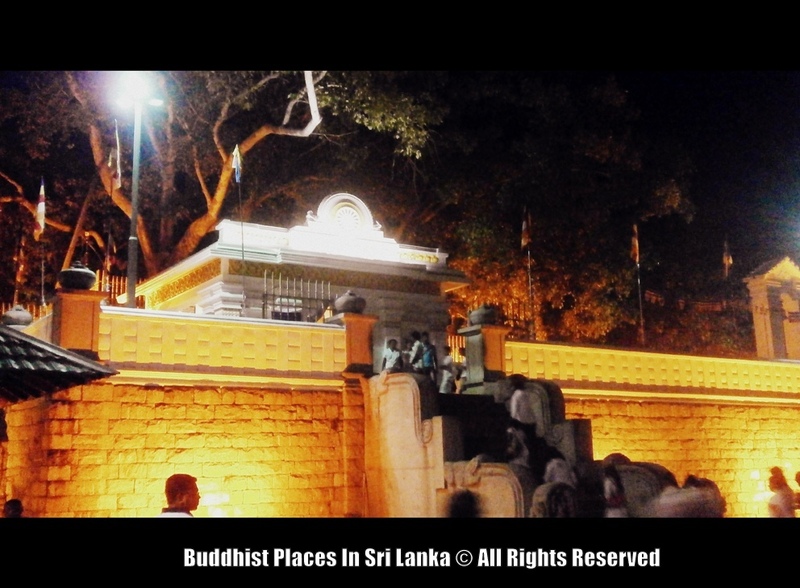 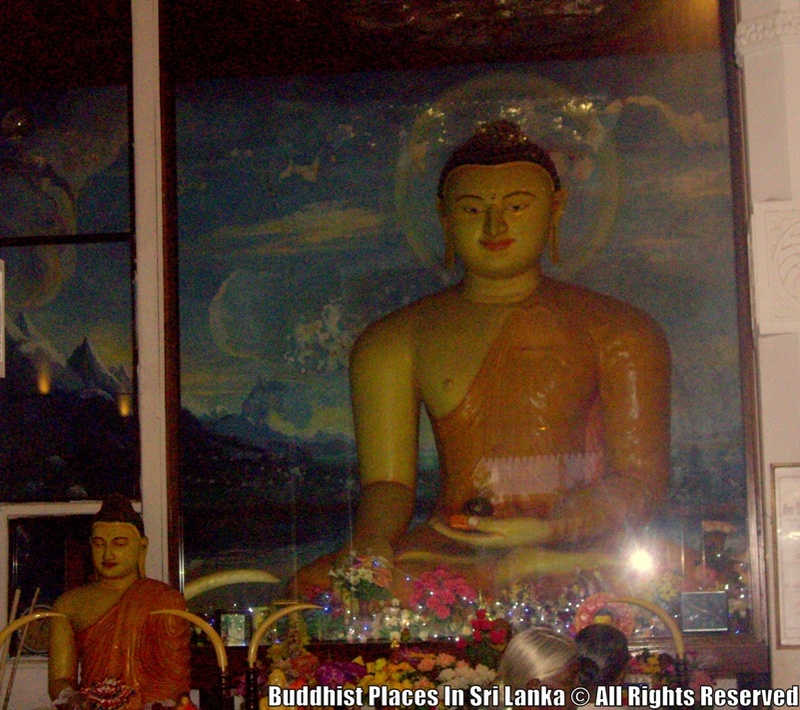 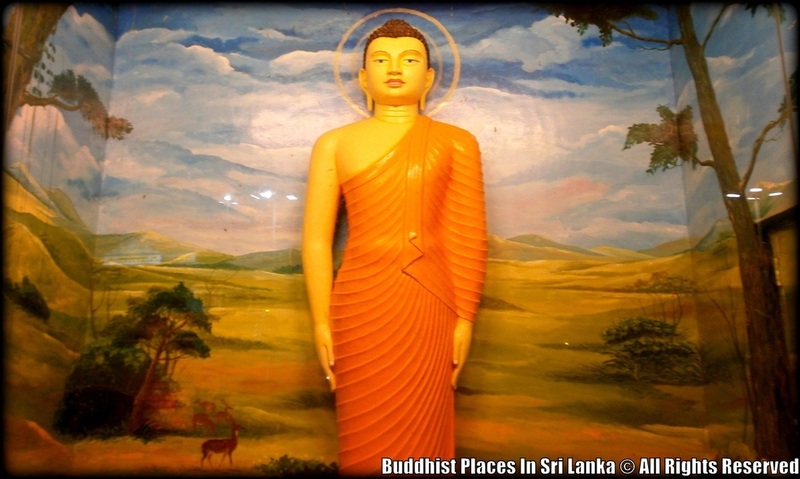 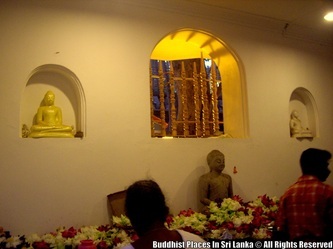 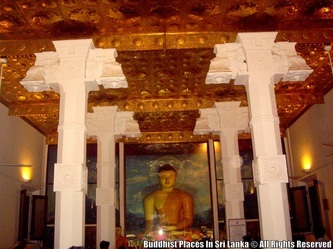 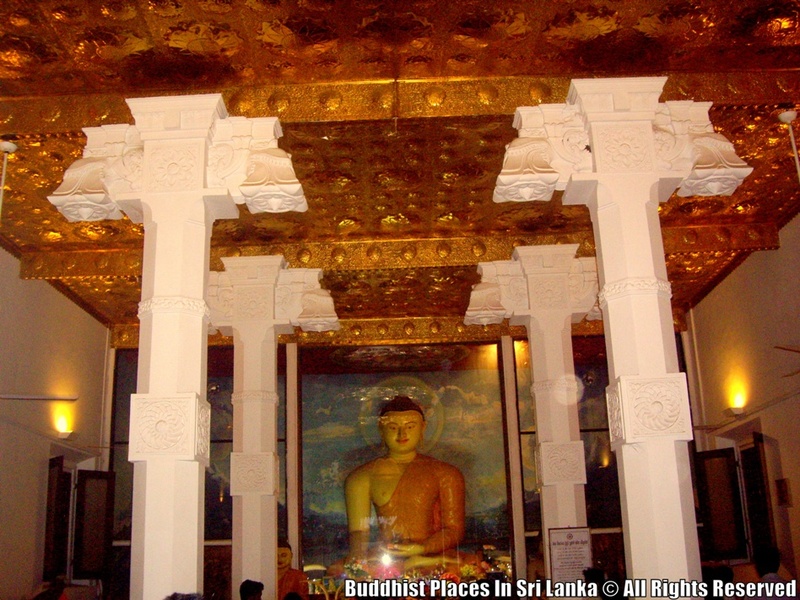 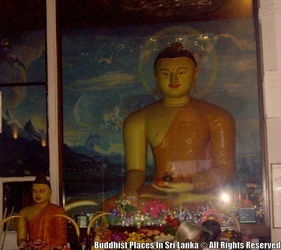 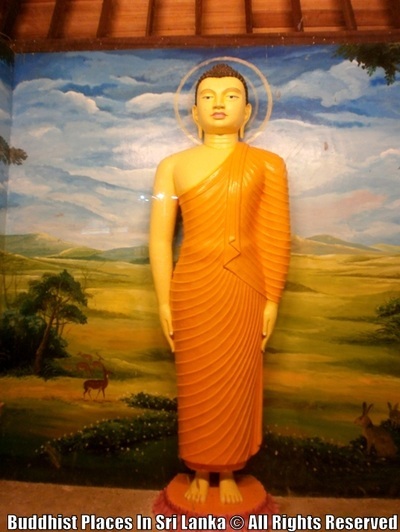 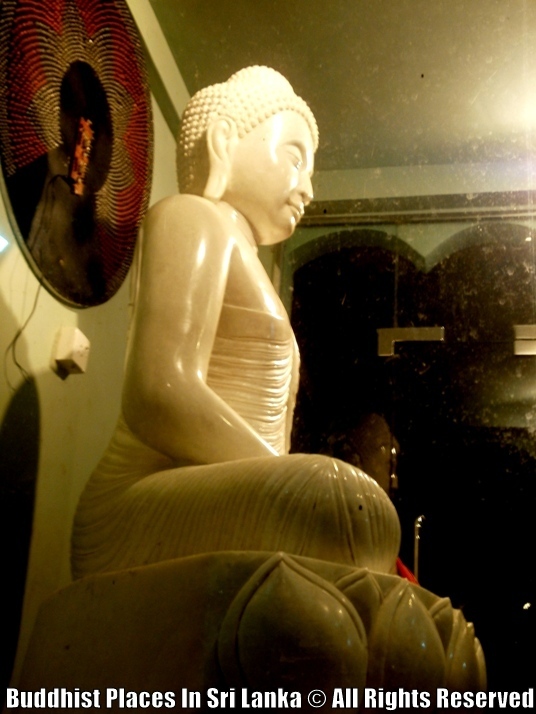 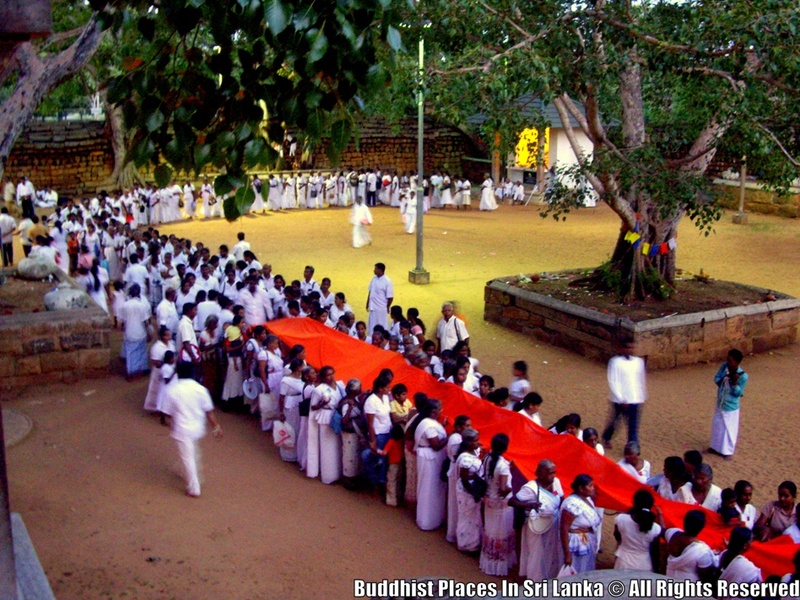 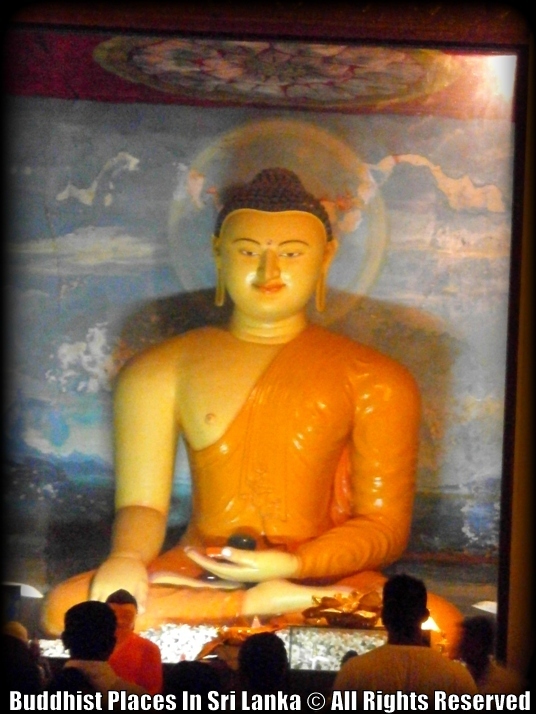 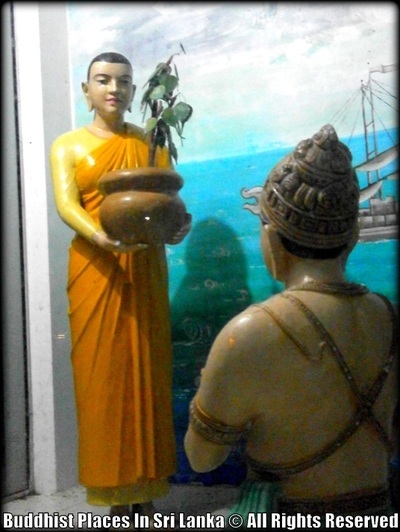 Today it is one of the most sacred relics of the Buddhists in Sri Lanka and respected by Buddhists all over the world. The other fig trees that surround the sacred tree protect it from storms and animals such as monkeys, bats, etc. 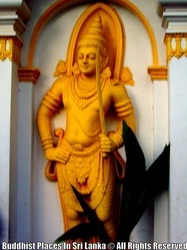 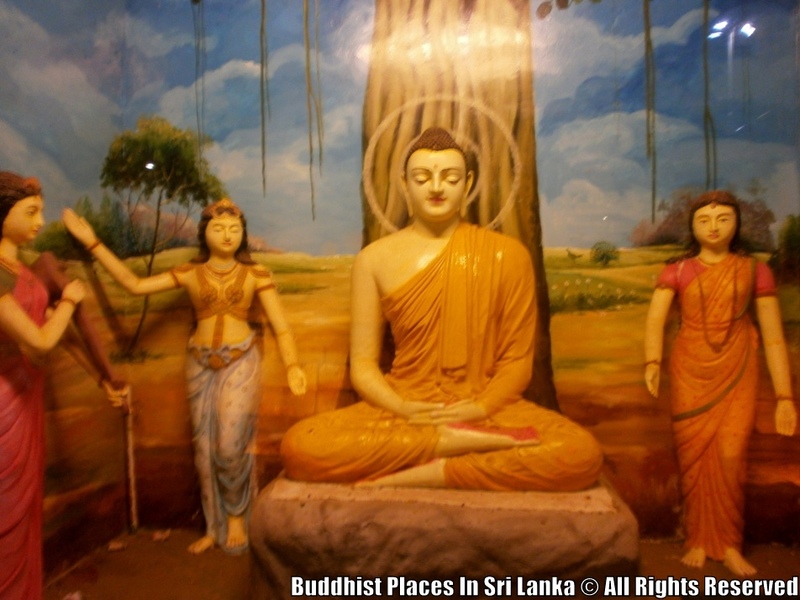 In the 3rd century BC, it was brought to Sri Lanka by Sangamitta (Pali; Skt. : Sanghamitra) Thera, the daughter of Emperor Asoka and founder of an order of Buddhist nuns in Sri Lanka. 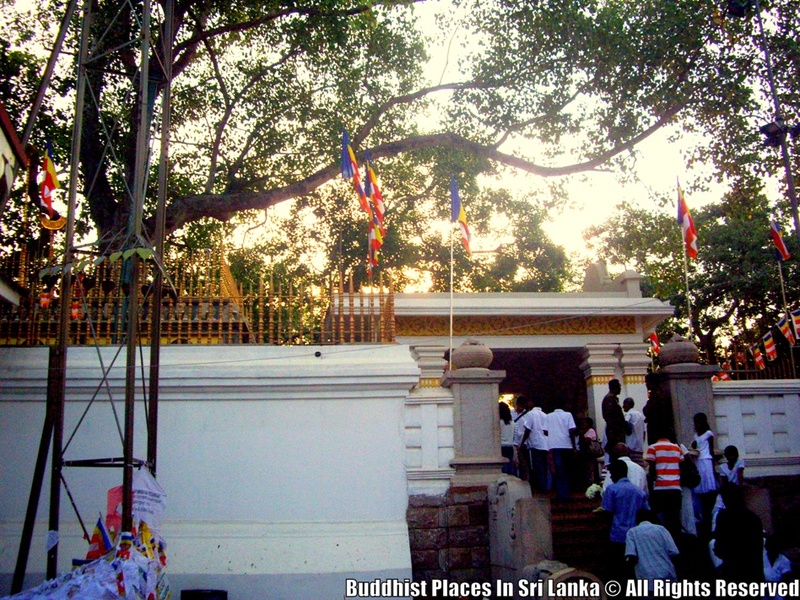 In 249 BC, it was planted by King Devanampiya Tissa on a high terrace about 6.5 m (21.3 ft) above the ground in the Mahamevnāwa Park in Anuradhapura and surrounded by railings. Several ancient kings have contributed in developing this religious site. 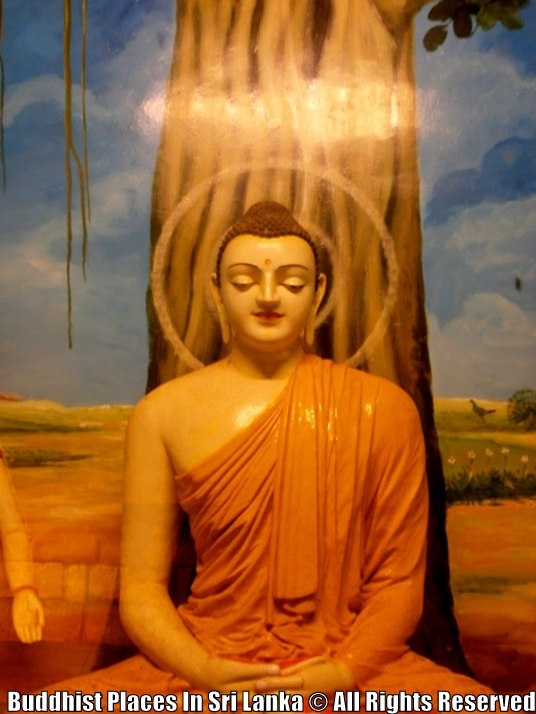 King Vasabha (65 - 107 AD) has placed four Buddha statues in four side of the sacred tree. 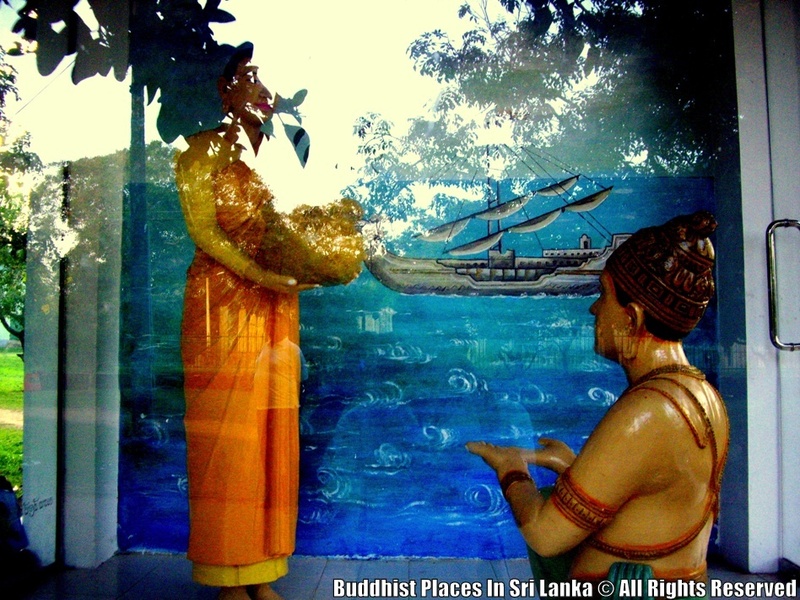 King Voharika Tissa (214 - 236 AD) added metallic statues. King Mahanaga (569 - 571 AD) constructed a water canal around the sacred tree and King Sena II (846 - 866 AD) renovated it. The present wall was constructed by Ilupandeniye Athtadassi Thero during the reign of King Kirti Sri Rajasinha, to protect it from wild elephants which might have damaged the tree. 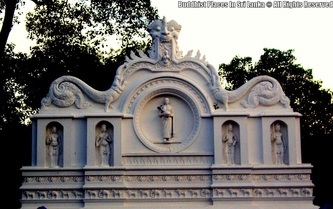 The height of the wall is 10 ft (3.0 m); with a diameter of 5 ft (1.5 m); length from north to south is 388 ft (118.3 m) and east to west 274 ft (83.5 m). 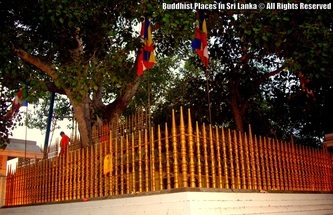 First golden fence around the sacred tree was constructed by some Buddhist followers in Kandy under the guidance of Yatirawana Narada Thero in 1969. The iron fence below the above golden fence was created by people of Gonagala under the guidance of Yagirala Pannananda Thero. 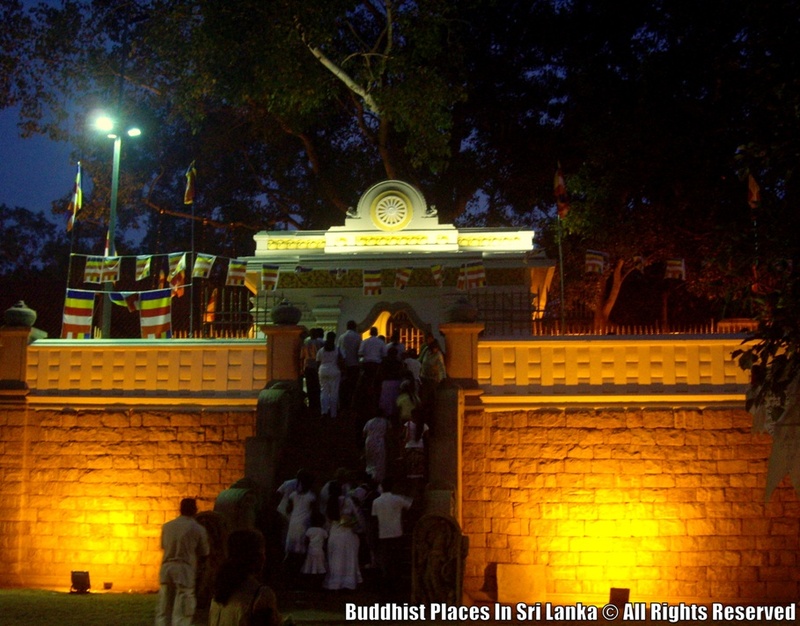 Second golden fence was constructed under the guidance of then Prime Minister of Sri Lanka, Ranil Wickremasinghe in 2003. 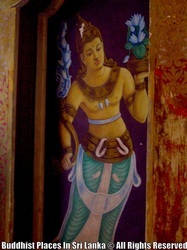 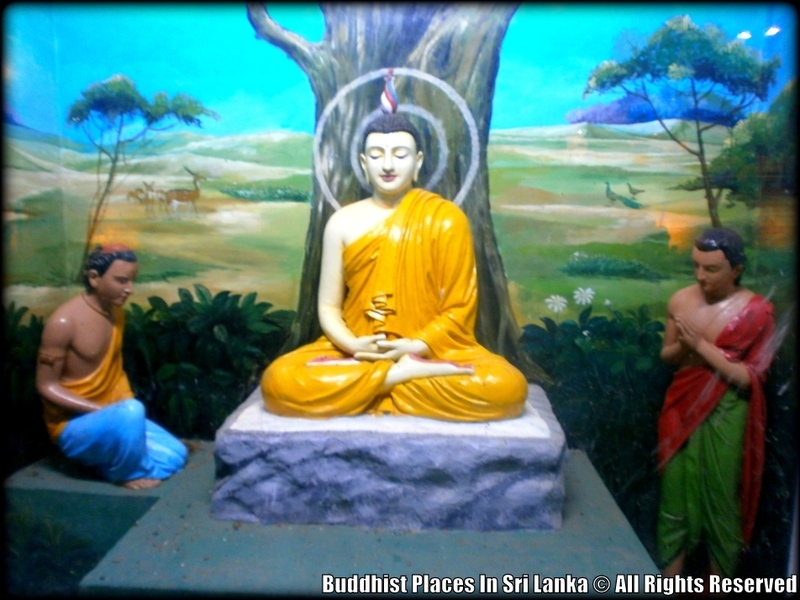 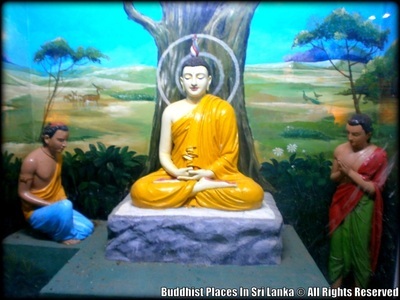 Two statues of Lord Buddha can be seen in the image-house; a stone-standing-statue is in the right side of the stone wall. 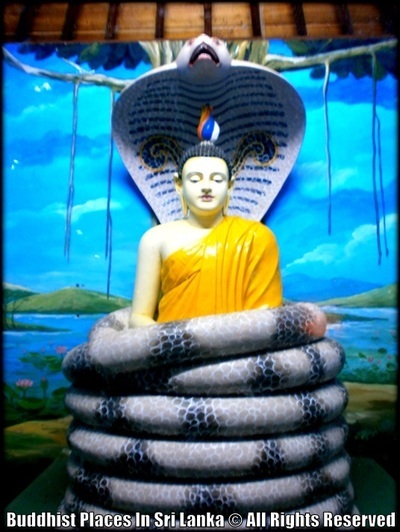 The cobra-stone is a very rare creation, showing the embossed figure of cobra. 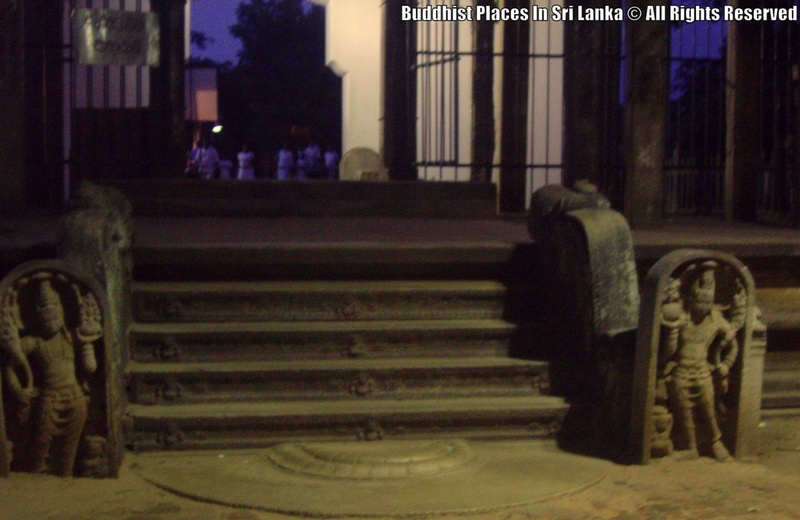 Several monolith heads with plain incisions are in this religious site. 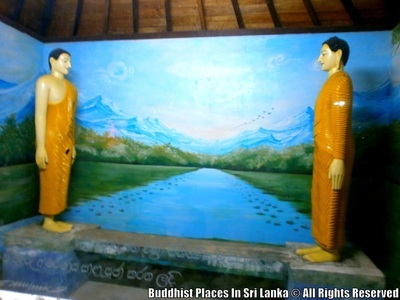 Ruins of ancient building called Mayura Pirivena (Mayura Monastery) has been found to the south-west of the Jaya Sri Maha Bodhi and the ruins of a stupa called Dakkhina Tupa (Southern Monastery) can be seen nearby. 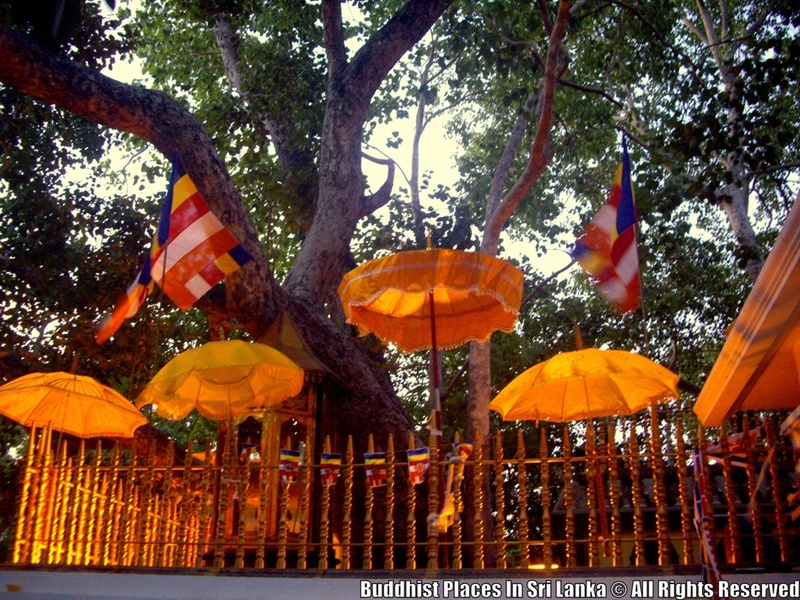 According to the ancient chronicles in Sri Lanka, some walls and terraces had been built surrounding the sacred tree on some occasions in the past. Mahavamsa states that King Gothabhaya (249 – 262 AD) had built a rubble wall and Dipavamsa reports about a rock-laid terrace and a lattice wall built by King Kirthi Sri Meghavarna (302 - 330 AD). The above facts have already been established. While digging the earth for the purpose of reconstructing the present wall recently, a rubble wall with its foundation created by King Gotabhya and a rock-laid terrace together with a lattice wall constructed by King Kirthi Sri Meghavarna were found. These findings were preserved at places where they were and are now opened to public since January 2010. Two branches of the sacred tree were broken down due to storm in 1907 and 1911. A lunatic cut and fell down a branch in 1929. 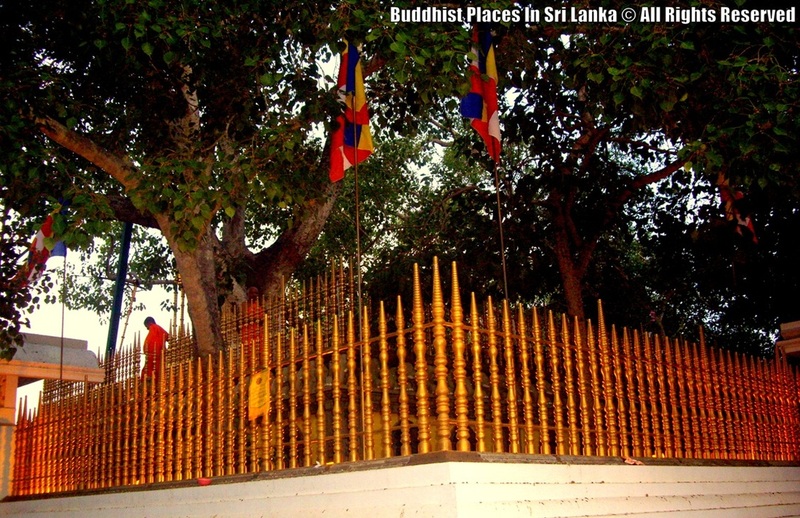 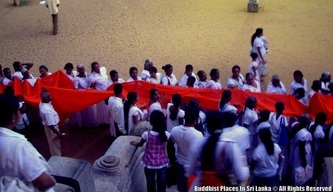 Tamil terrorists shot and killed several Buddhists on the upper terrace in 1985 known as Anuradhapura massacre.